Gateway to Freedom Ministries is a fellowship of believers seeking after The Incarnate Word (Yeshua/Jesus) from Genesis to Revelation through the leading of the Holy Spirit. We pursue the Hebraic foundations of the Christian faith and embrace the ministry giftings of the Ruach ha Kodesh (Holy Spirit) within the body of Christ. Gateway To Freedom's fellowship is primarily comprised of non-Jewish believers. Therefore, bible studies focus on understanding, rather than the Hebrew language itself. We incorporate the Hebrew language primarily for delineation or clarity or when an English equivalent does not fully or adequately define the concept or meaning. 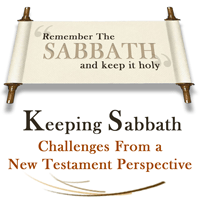 The weekly Shabbat meetings generally follow the annual Torah cycle of study along with the associated New Testament scriptural applications. The objective of the ministry is to empower and assist the body of Christ to be freed from the snares of the enemy (HaSatan) through teaching the walk of Holiness exampled by our Savior. Gateway To Freedom Publications is the publishing arm for the writings of pastor Randy. Products include not only the books, but articles, booklets, and audio CD's posted on this website. As we are enabled, our desire is to post many more of these teaching materials for your perusal. We are blessed to have the Lord's blessing and support to provide these materials free of charge in this format. We would only ask your considered support of the ministry and for materials requested in a "hard copy" format. Presently, except for books, materials are produced as individual requests are received.